The fourth quarter is a key period for the channel and although the industry has tried hard to move away from a seasonal model it is still a three months that delivers a lot of revenue to distributors and resellers. As a result there is real pressure to make sure that the technology and solutions being pitched are going to resonate with customers and there are plenty of suggestions for areas that the channel might want to consider looking at. Clearly vendors are going to promote their own areas of activity but in some cases they could highlight some products which could give the chance for the channel to make some headway with users. “In the coming months, it will be critical for the channel to prepare for the transformation of the enterprise wide area network (WAN). 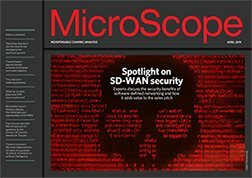 The WAN hasn’t seen much in the way of innovation for the best part of a decade, but the explosion of cloud services and frustration surrounding the high cost and inflexibility of MPLS networks is changing this," said Pierre Langlois, director, EMEA channel and strategic partners at Silver Peak. "Organisations are increasingly looking at ways to replace or reduce their dependency on MPLS and instead leverage broadband connectivity, which is being referred to as the software defined WAN (SD-WAN). With enterprises starting to realise they can securely connect users to applications via the internet, the channel will play a crucial role in educating and guiding them on how to do this effectively," he added. Customers are already experiencing some problems as the pressure mounts to cope with the strain of cloud services and the big opportunity in Q4 for the channel could be in positioning themselves as the answer. "The call to action here for Q4 is for channel partners to bring IT staff in their customer and prospect bases up to speed on some of the advances that have taken place over the last few years. In fact, the pain points businesses are currently experiencing can easily be used as hooks for account development calls and new business campaigns, particularly if you align product/service packages to the specific concerns that are clearly front-of-mind," said Wieland Alge, VP & GM EMEA at Barracuda Networks. "One of the obvious points to make is that the money on additional network capacity, performance and security measures will be spent at some point anyway as most organisations will not have the luxury of doing nothing. Better to invest proactively rather than reactively, as the ROI will be greater, and the company’s risk posture improved," he added. Not surprisingly the approach that many in the channel should be taking is to deliver more managed services to help users and that is no different in the networking arena. Nic Morgan, head of sales at Networks First, said that there will be continued growth in the managed services model this year as more customers looked for help with additional security services. “Feature rich cloud services can provide partners with the opportunity to sell three, five, or even seven year services contracts, rather than just the annualised maintenance – meaning longer term income for partners and cost effective value for their end users. Once these contracts are in place there’s the additional opportunity in professional services for installation and project work, further maximizing the partner’s opportunities with their customers," he said. "We’ve seen a real demand from our partners and their customers for managed security services so I fully expect to see that continue into Q4. With so many high profile data breaches this year alone, there appears to be a much better awareness amongst end users about the inherent security risks of doing business online, which is translating into the growing MSSP market in the UK and EMEA [By 2018 Gartner projects that more than half of organisations will use security services firms]. Obviously it’s a growing market and for that reason partners should be getting excited about pitching," he added. For those looking for what might be in demand in Q4 there is no simple answer like Windows 10, but instead the revenues should come from providing a mixture of services that address specific user needs, with most of those being demanded as a managed service.